Twitter founder Jack Dorsey thinks bitcoin will be the world’s “single currency” in ten years. Dorsey’s Square has been expanding its foothold into the cryptocurrency market recently. Count the founder of Twitter as one of the many bitcoin evangelists. In an interview with The Times of London, Jack Dorsey – the serial entrepreneur behind payments company Square and social media giant Twitter – said he thinks there will be one “single currency” one day. And that currency will be bitcoin. “The world ultimately will have a single currency, the internet will have a single currency. I personally believe that it will be bitcoin,” Dorsey told The Times. He expects that to happen in about ten years. Bitcoin, which runs on a open-source network of computers, was founded to provide a way for people to exchange value for little cost, circumventing the cost and oversight of banks and governments. 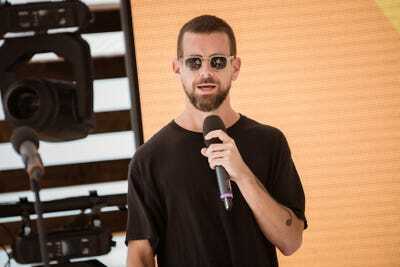 Square has been exploring how it can provide its customers access to the cryptocurrency, which has tanked since the beginning of 2018. In November, a few weeks before bitcoin hit an all-time high near $US20,000, Square said it would allow some of its users to buy and sell bitcoin on its Cash App. In January, the company said it was expanding the service for most of its users.